What are oatmeal smoothies? Well, it's pretty much exactly what it sounds like: it's your favorite quick, easy, and healthy breakfast or snack smoothie with some oats blended in. So, why add oatmeal? There are lots of great reasons, actually! Adding oatmeal to your smoothie makes it heartier and more likely to keep you fuller, longer. Oats are also a great source of fiber and a very nutrient-dense food—not to mention they are low in fat and calories (and gluten-free, if you were wondering). Fast, nutritious, and sustaining, oatmeal smoothies are an ideal on-the-go option. Convinced and ready to make your own?! Below are some helpful tips and recipes to get you started. What type of oats are best? Whatever kind you have on hand! Even if they are cooked—though, it's definitely not necessary to cook them—if you have some handy, go for it. To pre-blend or not to pre-blend the oats. If you're okay with a bit of texture, you can just throw 1/4 of a cup of oats right in with the rest of your smoothie ingredients. If you like your oats a little more incognito, put them in the blender first and pulse a bit to give them a head start, then add your remaining smoothie ingredients. You can also use a spice grinder, or food processor to process a larger amount ahead of time—store them in a closed container to keep them fresh. Make-ahead smoothies. 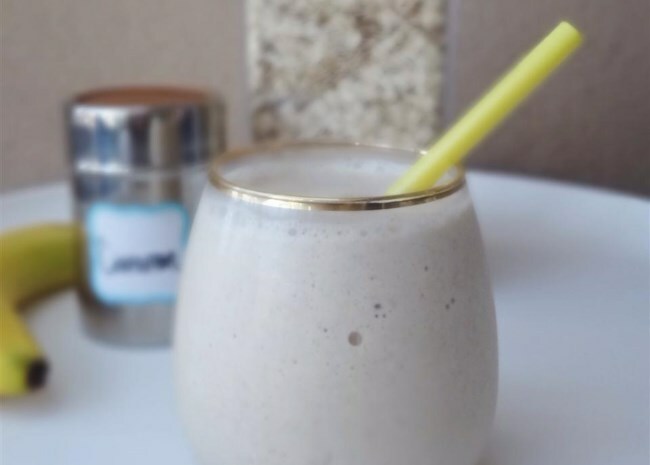 Another benefit of the oatmeal smoothie is that the starchiness of oats soaks up excess liquid, making it the perfect breakfast to prepare the night before. 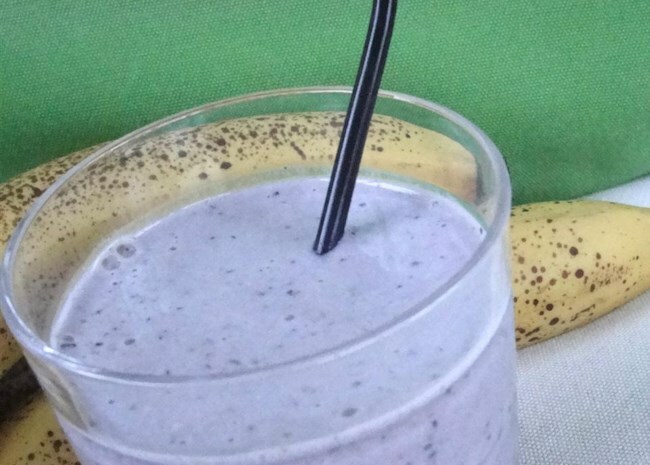 Get a hit of antioxidants via fresh or frozen blueberries in this quick and easy smoothie recipe. 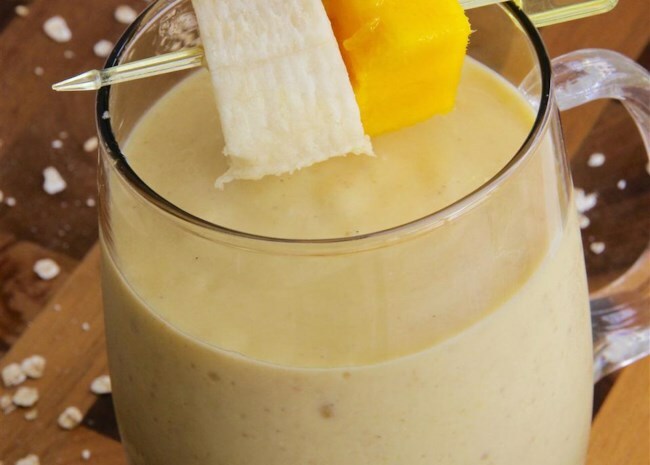 Banana, mango, yogurt, and orange juice make up this brightly-flavored smoothie. This smoothie is kind of like peanut butter and honey toast, minus the toast, in a glass—i.e. it's real good. 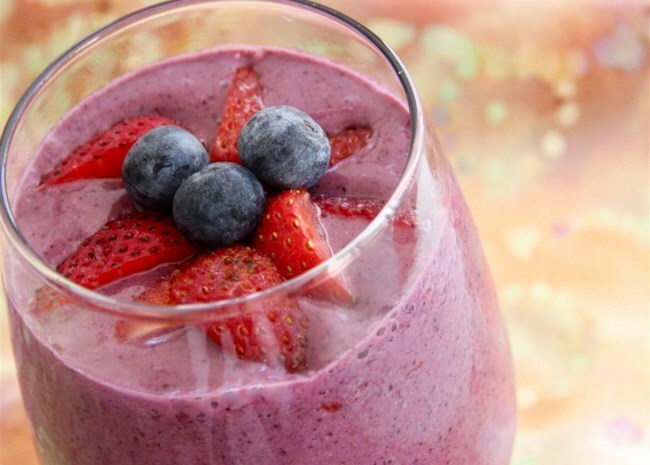 Why choose just one type of berry when you can make this smoothie with both! This recipe makes two servings.